In this week's The Willowbee Tree story, “The Clay Pot,” Piper is home sick from school and she doesn't like it. The day previous she did not listen to her mother or her teachers, and she was under-dressed for a class field trip. She got cold and wet, and now has a fever. When the Willow tree takes her to the Smoky Mountains to hear an old buzzard's story, she learns the importance of listening to one's elders. As a parent, teaching my kids to wear warm clothes in the winter—and even in the cool part of spring — can really test my personal parenting beliefs. On the one hand, I definitely don't want to have cold or sick kids. On the other, there is nothing like having cold hands once or twice to teach you to mind your mother the next time she tells you to put on a pair of mittens. I have solved this dilemma — or, at least, solved it as best I know how — by basically just stuffing my kids' coat pockets and school cubbies full of warm things. Whether they wear them or not is a judgement call they must learn to make, but as long as they have good winter gear available I feel like I've done my duty. To that end, I love a good cowl. 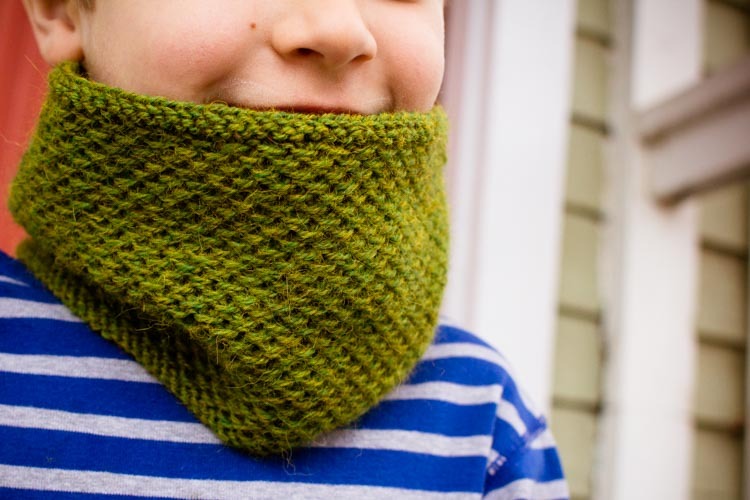 Cowls are great for kids because, unlike a scarf, they will stay put for running and play. They're also terrific for throwing on over a long-sleeved t-shirt on a chilly spring day where a little extra warmth — but maybe not quite a heavy winter coat — is needed. Lastly, they're quick to knit, so it's easy to make several and not quite as heartbreaking when one inevitably goes missing. 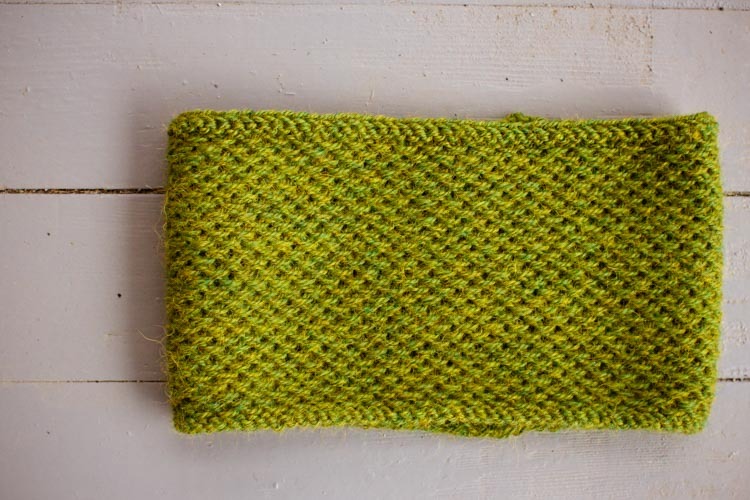 The cowl below is based on a classic stitch pattern called “Chinese Waves”, but I think — particularly when knitted up in a lovely spring green — the stitches look a bit like the leaves of a willow tree, blowing in a brisk breeze. Cast on 89 stitches and join for working in the round. Use a stitch marker to mark the beginning of the round. Knit one row, then proceed to the pattern below. Row 2: Knit 1, - * slip 1, knit 1; repeat from - asterick to end. Row 4: Knit 2, - *slip 1, knit 1; repeat from - aterick to last st, knit 1. 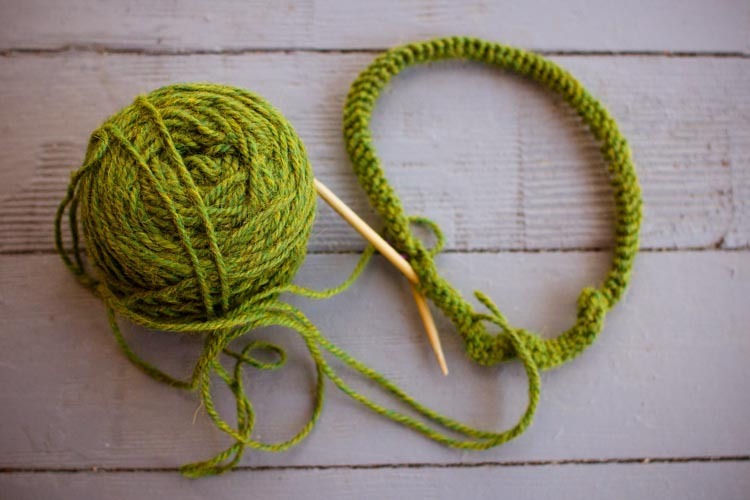 Work this pattern for 6 inches, ending with a purl row. Then, knit one more row. In the backyard of an ordinary house on an ordinary street in an ordinary town, there was once a most extraordinary tree. It was an enormous Willow tree. In the middle of its trunk there was a hole. And if you found yourself near that willow tree with a certain wonder stirring in your heart, you might notice a colorful sparkle coming from that hole. And what was that sparkle? An invitation to go somewhere long ago and far far away. Follow the stories of Willowbee children – ordinary children who take some not-so-ordinary adventures through powers of their extraordinary Willow tree.